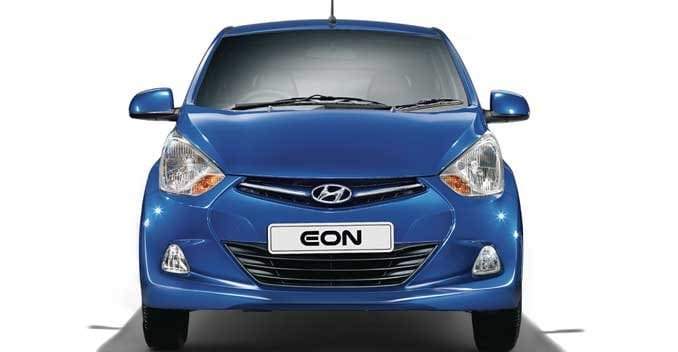 India's second largest carmaker Hyundai India has silently introduced a more powerful version of the Eon with a 1.0-litre petrol engine. Available only on the Magna trim, the ex-showroom, Delhi price for the Eon 1.0-litre in non-metallic shade is Rs 3,83,130, while it costs Rs 3,86,623 in metallic shade. Other than the 1.0-litre engine, the Eon 1.0-litre misses out on Music system, tilt adjustable steering and adjustable side view mirrors that are offered with the regular Magna variant. The Eon 1L has the same 1.0-litre engine that powers the European i10. This engine churns out a maximum power output of 68bhp, while yielding 95Nm of torque,mated to a five-speed manual gearbox. The regular Eon features an 814cc engine that produces 55bhp and 75Nm. Despite improved power output figures, the Eon 1L is claimed to return an impressive 20kmpl of mileage. Now when the Eon has a powerful engine in place, the small car will compete directly against the likes of Datsun Go, Alto K10 and Chevrolet Spark.